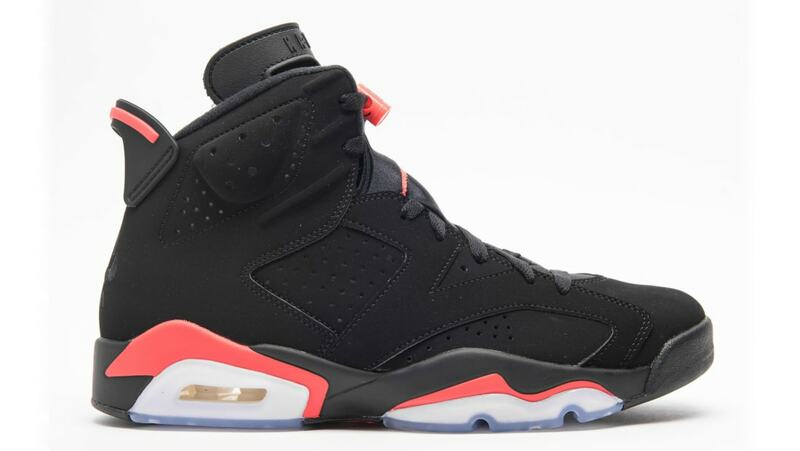 Jordan Air Jordan 6 Retro AS "Infrared"
Air Jordan 6 Retro AS "Infrared"
The black iteration of the 2019 Air Jordan 6 "Infrared" features black nubuck uppers with hits of infrared seen on the midsole. Returning in OG fashion is the Nike Air branding on the heel. Release date is Feb. 16, 2018 at a retail price of $200. News Air Jordan 6 Retro AS "Infrared"